The pound has fallen as investors brace for the economic pain of Britain’s exit from the EU. Meanwhile consumers are behaving as if nothing has changed. 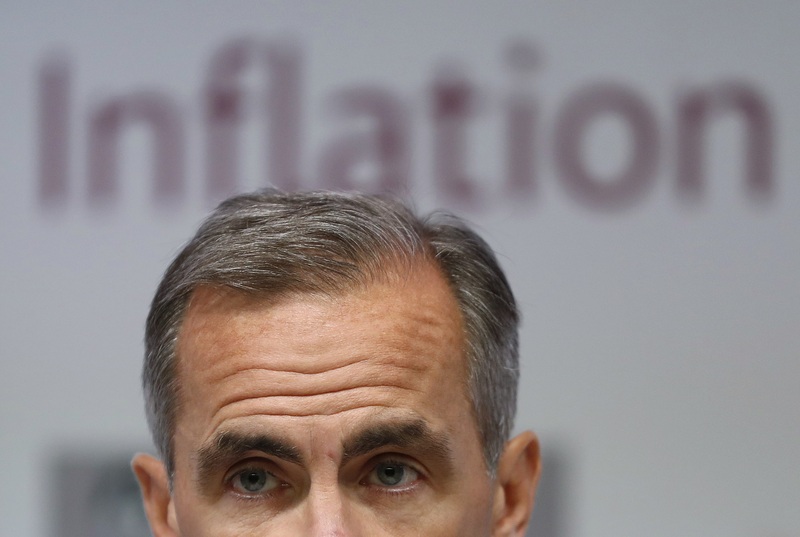 Rising prices will squeeze spending, leaving BoE Governor Mark Carney trapped between slower growth and higher inflation. The Bank of England on Nov. 3 scrapped plans to cut interest rates and said they could move in either direction as it ramped up forecasts for growth and inflation in 2017 following sterling’s slide after the Brexit vote. Sterling rose and British government bond prices fell sharply as the BoE shifted to a neutral stance on what its next move on interest rates would be. The central bank sharply adjusted its view of when Britain’s economy will feel the pain of June’s referendum decision to leave the European Union. In a set of quarterly forecasts, it predicted less of a short-term impact but warned that Britain’s access to EU markets could be “materially reduced”, which would hurt growth over “a protracted period”. The BoE also predicted a record overshoot of inflation above its target following sterling’s fall to a 31-year low against the U.S. dollar. “There are limits to the extent to which above-target can be tolerated,” the BoE’s Monetary Policy Committee said in a statement as it forecast inflation would jump to 2.7 percent this time next year - nearly triple its current level. By 1400 GMT the pound was trading at $1.244, up more than 1 percent. The yield on 10-year UK government bonds was 8 basis points higher at 1.24 percent.